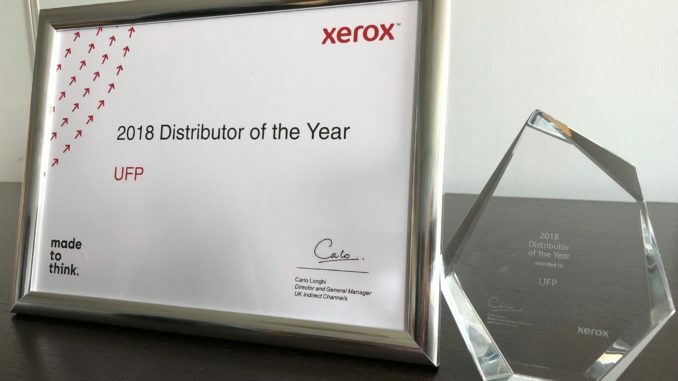 UFP is delighted to be announced as 2018 Xerox Distribution Partner of the Year. The accolade was announced on Wednesday night at Xerox’s UK Channel Partner Congress held at Celtic Manor, Newport. Adam Collier, general manager at UFP commented: “This is an extraordinary honour for UFP and is testament to the hard work, dedication and commitment shown by all the team at UFP.